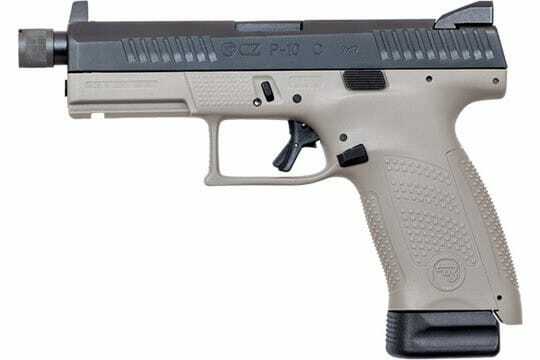 CZ USA 01519: CZ's P-10 C pistol features a grip angle which avoids that "brick-in-the-hand" feeling that has plagued many in the striker-fired genre, allowing it to point naturally. A mild palm swell, deep beavertail and three interchangeable backstraps make the P-10 fit a wide variety of hands. Its trigger is designed to minimize creep and stacking, while the fiber-reinforced polymer frame and hardy nitride finish are made for the daily grind. The P-10 C Suppressor-Ready has an extended/threaded barrel with 1/2 28 threads and is finished in a Urban Grey. 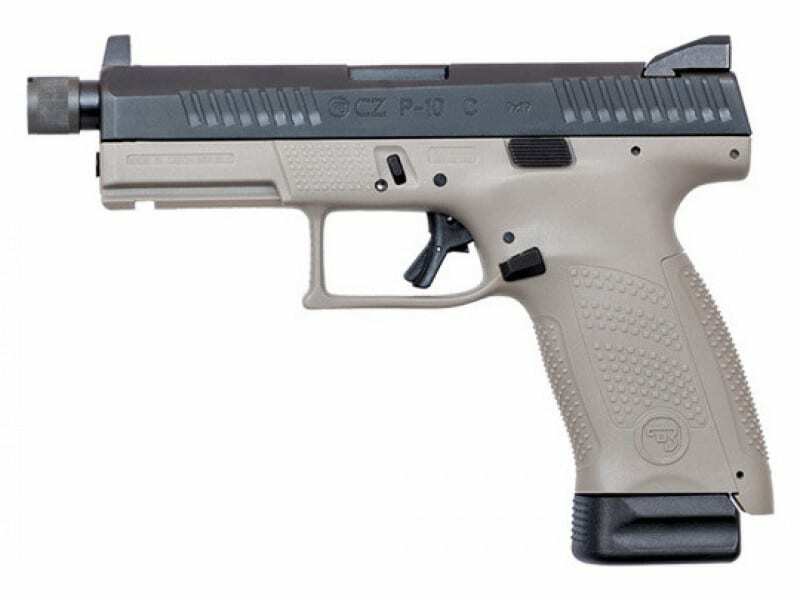 High night sights and extended magazine capacity round out the package. This model has a 4.61" barrel and comes with a 10-round magazine.